John Woods Nurseries celebrates The Diamond Jubilee of Queen Elizabeth II and the UK hosting the 2012 Olympics with their British themed rose named ‘Moment in Time’ (‘Korcastrav’). John Woods Nurseries supply a broad range of hardy nursery stock to help retailers build a comprehensive offer however they choose to merchandise their plants. 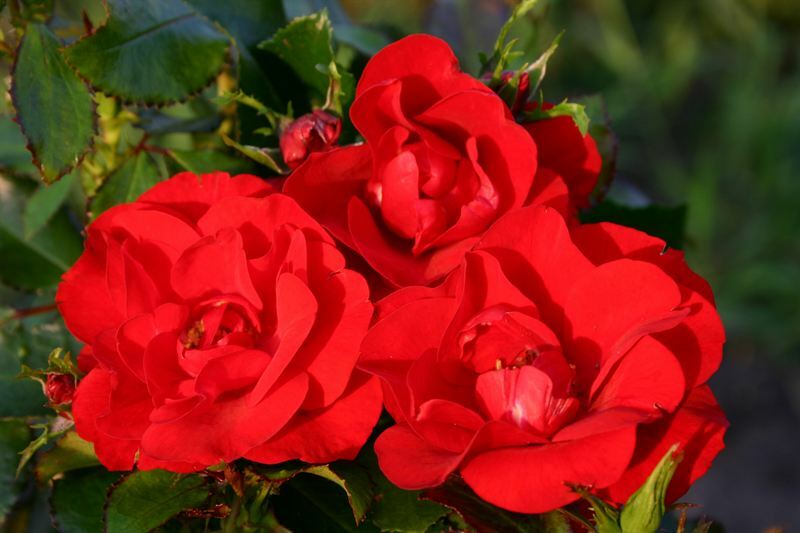 With The Queen celebrating her 60 year reign, and the UK hosting the 2012 Olympics, the 2012 Rose of The Year appropriately called ‘Moment in Time’ is the perfect addition to any patriots’ garden. ‘Moment in Time’, bred by Kordes makes the perfect choice for the garden with the plant featuring dark green glossy leaves & repeat flowers to produce intense ruby red flowers throughout summer. Performing best in full sun or part shade and fertile, well drained soil, Rose Moment in Time, which is lightly fragrant, will reach an eventual height and spread of 60 cm x 40 cm. Its compact, upright habit makes it ideal for containers and mixed planting. Mattocks Roses are available countrywide from selected Garden Centres. Please click here for a list of our main stockists. John Woods Nurseries’ aim is to supply a broad range of hardy nursery stock to help retailers build a comprehensive offer however they choose to merchandise their plants. Retailers are able to mix across the range of plants which helps maximise the use of retail space throughout the seasons. John Woods Nurseries supports these ranges and plant concepts with marketing and promotional packages for retailers. A complete PR programme for new plants and retail brands includes a dedicated customer hotline, helping people find their nearest stockist. Launches for key introductions; promotion to leading journalists and gardening media at the annual Garden Press Event. Press packs and images are available for retailers’ in-house publications. This support ensures that all communications are timely, relevant and easy to use. From its headquarters in Suffolk, East Anglia, John Woods Nurseries produces over 1500 varieties. Product groups produced include trees, shrubs, roses, perennials, ericaceous plants, climbers, ferns, grasses and a kitchen garden range. The company also offers a contract growing service for large private and public sector landscape gardeners, helping clients meet specific project completion dates. Local landscapers and garden designers are serviced by a purpose built on-site cash and carry.